Having a child makes you try all sorts of things. I was supposed to buy Henry’s gift but while I was shopping she came to me and said she wants to have her picture taken with the penguins. So here I was ready with the camera and asked her to pose for me. Then we transferred to Santa’s cabin to take her picture on the red couch. 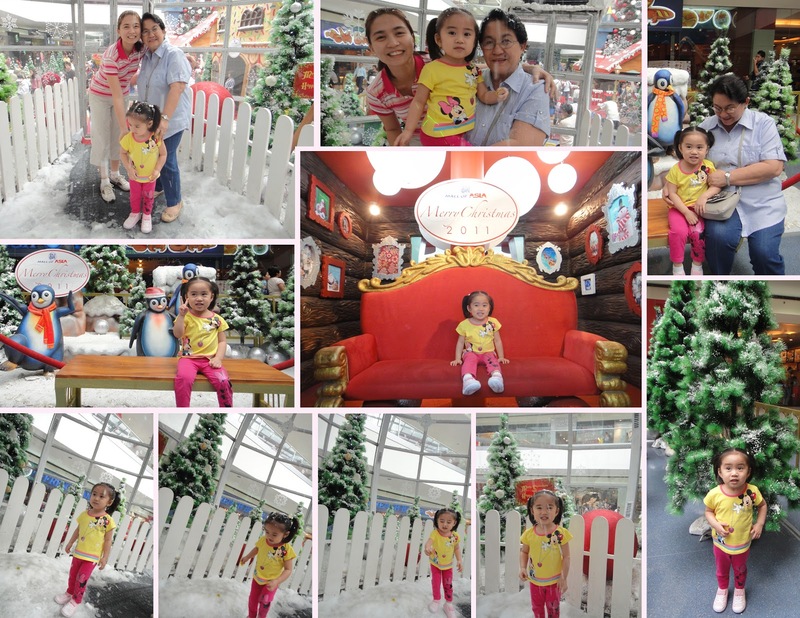 Then she asked her lola if she can go inside the snow globe for 50 pesos each! Kapag may bata talaga napapabili ka ng di oras! So there we were, waiting for our turn in the globe with falling shaved ice. It was very artificial but she enjoyed the temperature and the feel of ice falling on her head. 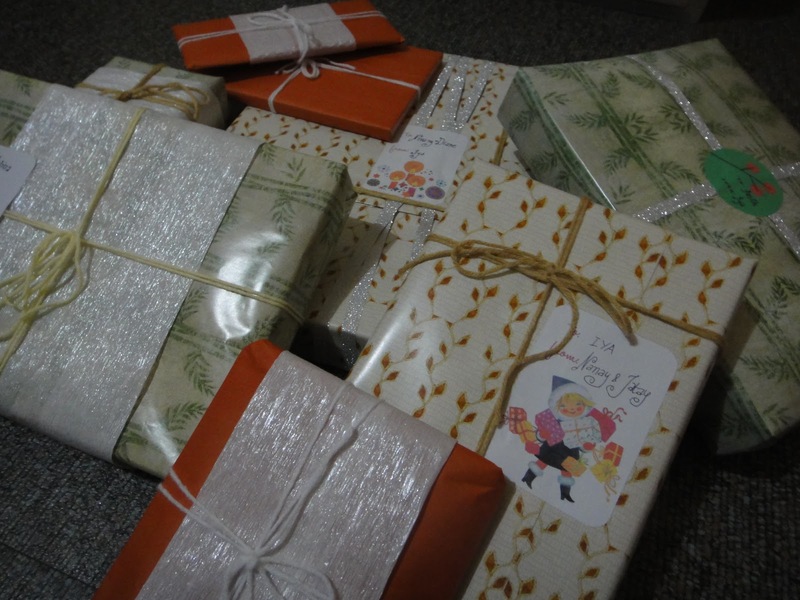 Then I get to wrap presents at home for relatives and friends. I chose a few gifts for the photo op because the embellishments are not consistent. I bought varied wrappers with metallic crepe papers and different colored yarns while I printed downloadable vintage gift tags. 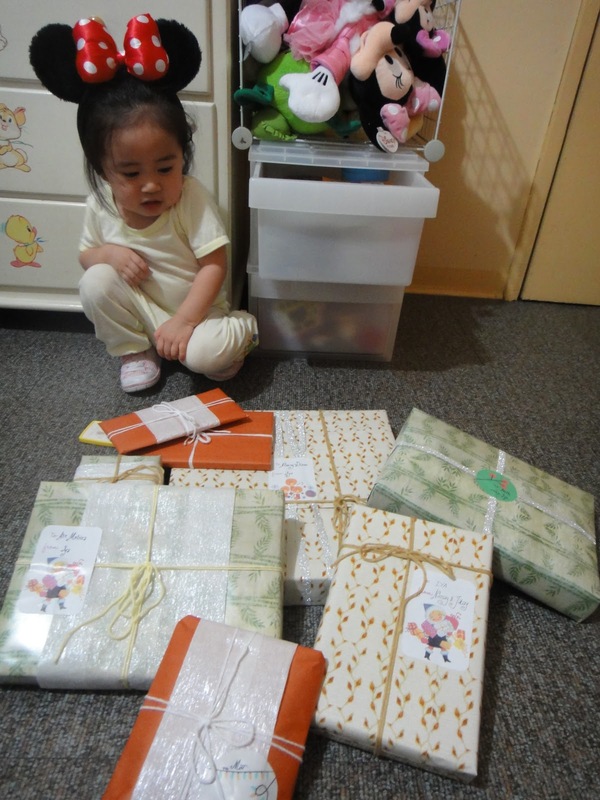 Iya hovering over the gifts. She has gotten really good at spotting her name under the tree!